Oh wow. I think you just converted me to the idea of culottes. Those look really good! I was just thinking they'd be perfect for bike riding. They're beautiful. I had a pair of culottes very like these, in navy, about 20 years ago and loved them. I hung onto them for years and years even after they were far too small for me because I think I kept hoping I might fit back into them one day. I'm very jealous of your new make. Uau!!!! Lovely! Did you start to scratch it having some pattern as a base or directly over the blank page? I love them. I've been pondering a split skirt for quite a while. Did you use any guide (tutorial, pattern, book?) to draft your culottes? 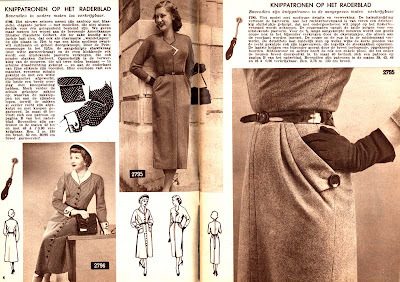 Did you start with a circle skirt and then add the gusset? So envious of all the fun you are having with pattern drafting. I'm still waiting to finish my slopers. Pictures of the pattern pieces please? Pretty please? By the way, I can't seem to comment with my Wordpress account anymore. You might want to check with Blogger in case other non-Blogger readers are also having problem commenting on your posts. you may have converted me too. those are great! Culottes are pretty & much safer than short skirts. I love yours. Great job! Love the culottes! 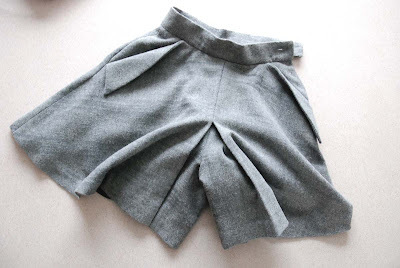 They look great on you :) So smart--I too would never wear a skirt that short/full. Love it! i just love culottes and do have them though of a longer length, they really are very comfy and still lady like! way to go! Oh, I like these. Super twirly. I just found you through Debi's blog. Oh my gosh, these are brilliant and gorgeous-- I never would have guessed they were really shorts! I need to make something like this right away. And by the way, your writing is outstanding. Did you grow up speaking English? I had culottes when I was a kid in the 70's. Your style is much cooler. This is brilliant! I'm going to make a pair for my daughter-- she's too much on the move to worry about decency! I'm a bit of a retro-girl at heart and I love these culottes. Wish I was a good enough seamstress to make one. Well done! When culottes were last at the height on fashion, I had 2 small children and found that they were wonderful. I was able to squat down comfortably to attend to childish needs without exposing anything. I was able to run with them, play etc. Very practical clothing items for when one wants to look a bit dressy but have lots of movement options. I'm just seeing your culottes now and I love them! They're really great.